My photo-a-day project is complete! 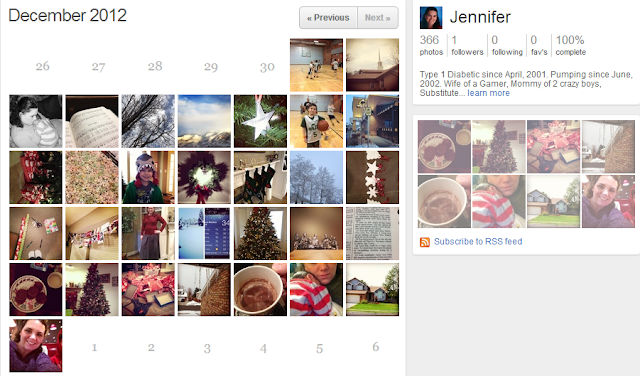 366 pictures, one for each day of 2012! I'm really glad I did the project. It was a lot of fun. I was glad to find the Fat Mum Slim website to follow along with her prompts. I don't think I would have been as creative with the project without someone giving me prompts. I didn't follow her prompts in January or November, however. I don't think I'm going to do the project this year. I will, however, try to use my Nikon more. I noticed that my photos on my phone, while sometimes quite amazing, have definitely dropped in quality. I think I'd like to keep my big camera in my car or with me more so that I can photograph more casual, candid photos with it. This was the only New Year's Resolution I made this year, so I'm glad I was able to stick with it and complete it. My mom, my boys and I got together on Friday night to make candies. Jess had just given birth to baby Jax so she wasn't able to come and we sure missed her; but we were sure to take her some candies. This year we made pretzels with peppermint kisses. This is the Reindeer Mix. We also made butterscotch haystacks and peanut butter cups. My sister delivered the most beautiful baby boy on Wednesday, December 19th. His name is Jax. He's so cute and super tiny. I can't wait to get to know him better.